YouTube Gaming's main page, a cyber heart that changes based on where you touch it. Coming out of the gate swinging, YouTube Gaming has a whole suite of interesting things to introduce to the world of online live streaming. It’s a strong introduction that will lead to many successful years for Google’s latest venture. Below are the 10 MOST interesting facts we’ve tracked down about YouTube Gaming. With a simple button press, you can add any game to your collection, where it will start placing its top streams to your front page. Say you’re a big fan of Minecraft! Add Minecraft to your collection and the top Minecraft streams will appear on your front screen and be available at a moment’s notice. No more scouring the site and looking for your favorite game. With YouTube Gaming, once you’ve found a favorite, you’ll never lose it. Here are all the platforms you’ll be able to use YouTube Gaming on. YouTube Gaming, when it releases, is coming out online and as an app. YES, Twitch (YouTube Gaming’s primary competitor) already has a website and an app. But, Twitch released the app later in its life. YouTube Gaming is releasing their app at the very start of their life cycle. That means the app will be built to be as effective as the website, and will receive all the updates the website does at the same time the website does. YouTube is graduating into the realm of E-Sports this summer. It’ll be a hell of a ceremony. Typically, when something awesome like this (YouTube Gaming) is announced, you have to wait a year or so before you actually get to experience it. But, I did say “typically”. YouTube Gaming has already announced they are releasing before the end of summer, which means this piece of incredible streaming genius will be released before we know it. By the time we’re clearing away our fireworks and getting ready for fall, YouTube Gaming will be available for the grateful public. Maybe these are your favorites! Remember, not all streamers are gamers! Now, this is similar to the Collections part of these interesting facts in that YouTube Gaming will help you find your favorites. BUT, this is about individual streamers, not games. Say you find a girl that you love to watch. She’s really good at the games she’s playing and offers some really intelligent comments. Problem, though; her info says she doesn’t keep to a streaming schedule. This girl just pops on whenever she feels like she wants to. How will you ever find time to watch her? YouTube Gaming has your back there. With an alert system synced to your phone, you’ll get an alert when your favorite streamers come online, making sure you NEVER miss your favorites again. A part of a list of all PC games ever, a majority of which are supported by YouTube Gaming. Packing what is just about every possible game every released on the PC, YouTube Gaming will offer support for over 25,000 games. The total isn’t set because YouTube Gaming will never stop adding games to the list. So, never fear. Your favorite games will always be available on YouTube Gaming. Any service, if it wants to be able to support its many loyal fans, needs a strong backer. Most services, like Twitch, have to struggle through years of effort in order to get the backing of a powerful corporation. YouTube Gaming already has backing, and it’s the best possible backing they could have. Being the premier source for everything on the Internet, and in absolute control of the best search engine around, Google will ensure YouTube Gaming has all the support it needs to succeed. A taste of Google interconnectedness. On top of Google giving YouTube Gaming all the monetary support they need, Google will also provide this newest video game live streaming service with all the necessary connections to their other services to help it succeed. This means YouTube Gaming will be fully connected with all the many, many services Google offers, with notifications and alerts connected to your G-Mail, your standard YouTube account, and the numerous other services provided by Google. Some recommendations from YouTube, though not quite the recommendations we’re talking about. A clever little system, YouTube Gaming is. As time passes and you accumulate a nice history of watched streams (not too many, mind you) YouTube Gaming will slowly begin to identify just what kinds of streams you enjoy watching. As they narrow it down, YouTube Gaming will track down all similar streams and start placing them on your homepage, so you can enjoy them as well. Have you ever been watching a stream and found that it was stuttering back and forth and making it very unpleasant to watch the stream? The low latency option provided by YouTube Gaming makes it possible for even the slowest and most terrible of computers to watch the streams provided. It’s a nice option that shows how YouTube Gaming will always provide for the good of the public. They just made YouTube better. Now, if we look back over all of these cool things provided by YouTube Gaming, I’m sure you’ll notice that several of these points are things already existing in YouTube Gaming’s foe, Twitch. Things like the low latency option, a total of over 25,000 games, and other such features. But, the important thing here is the things that weren’t in Twitch. YouTube Gaming is absorbing everything that was good about its predecessor and adding more. They’ve taken formula that’s been proven to work (Twitch) and added so much more to it. 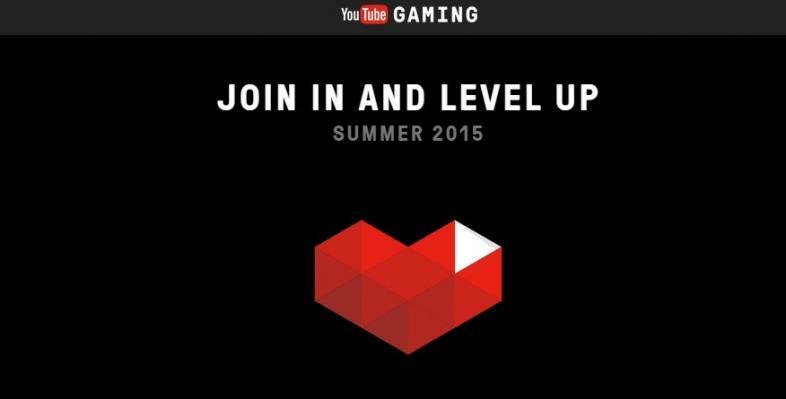 I hope you’ll join me in being truly excited about YouTube Gaming’s release this summer. It’ll be a fun ride, and I’m looking forward to it.